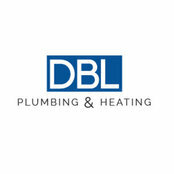 We at DBL Plumbing and Heating pride ourselves on an efficient and friendly service, and strive to achieve 100% customer satisfaction on every job we undertake on boiler repairs Guildford and boiler installations Guildford, we have the knowledge and experience to provide a comprehensive Plumbing service in and around Surrey for domestic customers. We have high standards and offer excellent value for money on every job we do, always maintaining a high standard of customer satisfaction, giving you complete peace of mind at all times. So if your looking for a local plumber in your area then we can help, from simple tap repairs, emergency leaks, to complete installations, our emergency & non emergency plumbers are available 24 hours 7 days a week, most jobs can be completed on the first visit as we carry a large stock of the most common plumbing parts in all our vans. Call us today to book your local plumber in your area, or for a free no obligation quote.